In this modern age, the world of dating has changed entirely. Once upon a time, people would insert a single ad into the local newspaper in hopes of someone finding it and contacting them for a connection. Or you’d simply walk up to someone in a bar and ask to buy them a drink. 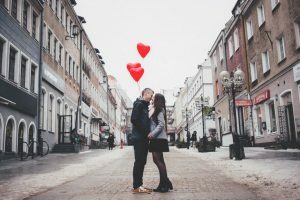 While these sorts of styles of meeting people still exist, it’s becoming more and more common to use online dating applications and websites in order to meet your significant other. In a recent survey, 19% of married couples said that they met online. If you’re looking to give online dating a whirl, but aren’t sure how to create the best profile, here are some of the best tips to get you started. A photo is very important in terms of how you represent yourself. When you think of yourself as a brand, then you start to see how important it is to market yourself in the best possible light. Since online dating is a form of marketing yourself in a way, it’s important to choose images which aren’t grainy or look amateur. Try to choose photos that make you look approachable and kind and you’ll find that you have much better results. One of the first things that a person sees when they reach your page is your photo and your headline. Once you’ve chosen a photo which grabs a potential mate’s attention, you should try to create a headline which equally grabs the reader’s attention. Try to choose a phrase which sums you up in a nutshell or creates an air of mystery. Additionally, you may choose to opt for something which is humorous and makes them laugh. This is equally as effective. Ultimately, it’s all about what kind of a personality you have and how you want to sell your image. Some people make the mistake of posting photos of themselves which don’t look like them at all. They may try to make themselves look younger or thinner, or post a photo of someone who isn’t them at all! When you do this, you are only setting yourself and the other person up for disappointment. Misrepresenting yourself is lying and creating a foundation of distrust from the beginning. Rather than creating a relationship based on lies, you should share yourself in a genuine light. It’s important to remain respectful and appropriate when representing yourself online. Since the internet covers a wide spectrum of people, you never know who you may offend or even come in contact with who you know in the real world.